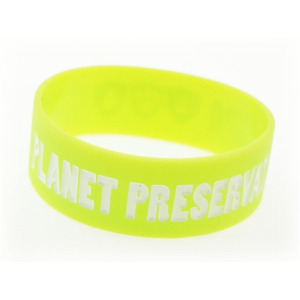 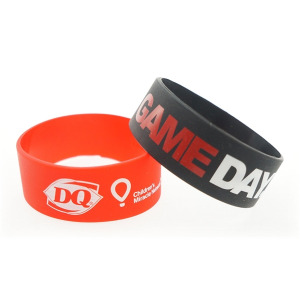 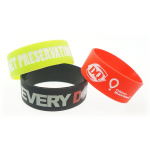 These wrist bands measure 1" wide and are available in both youth sizes or adult sizes. Made of 100% recycled silicone, they make a great solution to the marketing needs of environmentally conscious companies. An excellent gift to hand out at trade shows, conventions, and other networking opportunities. Have them customized with your company name and logo for a promotional souvenir that will gain exposure "wear-ever" your customers go! I'm interested in learning about the Broad Recycled Silicone Wrist Band. Please contact me.